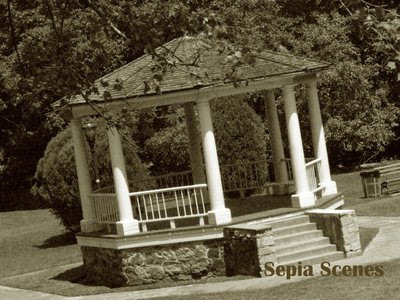 Welcome back to Sepia Scenes everybody! 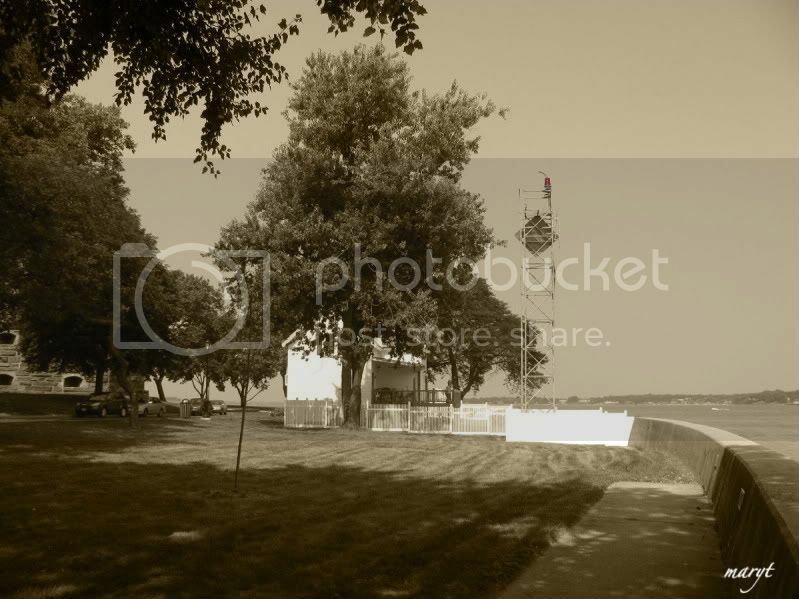 The photo above is of the Throgs Neck Light at Ft. Schuyler in the Bronx. The skelatal tower to the right was built in 1986 which displays a fixed red light (Notice I colored in the red light). The need for a lighthouse at this point to mark the entrance to the East River was recognized. The land for the lighthouse was obtained by the State of New York in 1823, possibly through a condemnation procedure, and construction of the lighthouse commenced in 1826 under the direction of Timothy, Ezra, and Elisha Daboll. The remaining peninsula was purchased during the construction period with the plan to build a defensive fort at the strategic location. Don't forget to sign Mr. Linky and leave a comment, my friends! And of course visit your fellow participants. I have mine up, too!! Am I seeing right or does that lighthouse look small? The older one looks bigger, but still smaller than some I have seen. Very nice. I need to get some ocean air and see some lighthouses. Neat to see the original photo shot from the same angle. Really gives you the "Then-And-Now" theme. I ALMOST posted a lighthouse today. ;-) It's in my archives and ready to go but for some strange reason I totally forgot about it till just now. What a goof I can be! Love lighthouses! They always seem to have such a fascinating history! Love this one in sepia! You know I'm a sucker for old lighthouses and their stories. I know that the scaffolding lights serve a purpose, but give me a vintage lighthouse tower any day! Mine today is up late (sorry!) at It's A Blog Eat Blog World - another shot from the vintage car show of this past weekend. My pic is one of the few vintage trucks that were there that day, and I thought it made a great sepia-ized image. interesting comparison, and I always enjoy the history behind your shot. see my sepia scene & window views here Thanks! I love your photo but I must say I like the older light house so much better than the new one. I have a scene now. Your light house i lovely. I like the contrasts of light in this beauty, and like the shadows. Great shot! That second photo shows how it used to be. Thanks for sharing that! Mine is posted. Have a great day!